For something sweeter, try our modest repertoire of hot chocolates. Jubilee Liquid Dutch Chocolate is a rich, creamy chocolate experience, prepared using liquid chocolate concentrate and finer than powder-based chocolates in every respect. Grand Milano Barista Cioc is a hot chocolate with luxury in every bubble and drop. 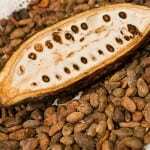 Prepared from the finest African cocoa beans grown and handpicked along the Ivory Coast, it is an indulgence like no other. Using their 30 years of experience at the heart of the tea trade, bellevue tea, an independent family-run business, sources the best tea bags & leaf tea from their trusted suppliers. From a cracking breakfast belter to a soothing camomile infusion, their range delivers a really good cup of tea every time. 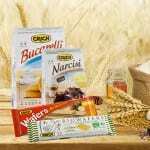 Organic wafers made in Italy melt on the tongue, letting loose an exquisite cocoa cream centre. An outstanding accompaniment with your coffee and tea, and the lemon vanilla variation is to die for. Sumptuous hot chocolate indulgence is at your fingertips with this new, modern machine, exhibiting a contemporary design and chic stainless steel finish. 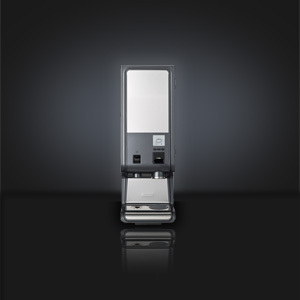 Also suitable for making coffee, tea and soup, it comes with two canisters – one for chocolate or coffee, one for hot water – plus a range of exciting features, such as an LED-lit digital menu, rinsing mode and descale indicator, plastic drip tray and energy saving mode. It is available in stunning metallic grey or white. 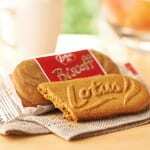 Perhaps the tastiest biscuit to ever grace the Earth, Lotus Biscoff is the original caramelised biscuit – delicious, distinctive, sweet and crunchy – and perfect for dipping in a Miko coffee or tea. A time-honoured baking process lends the irresistible caramelised taste.